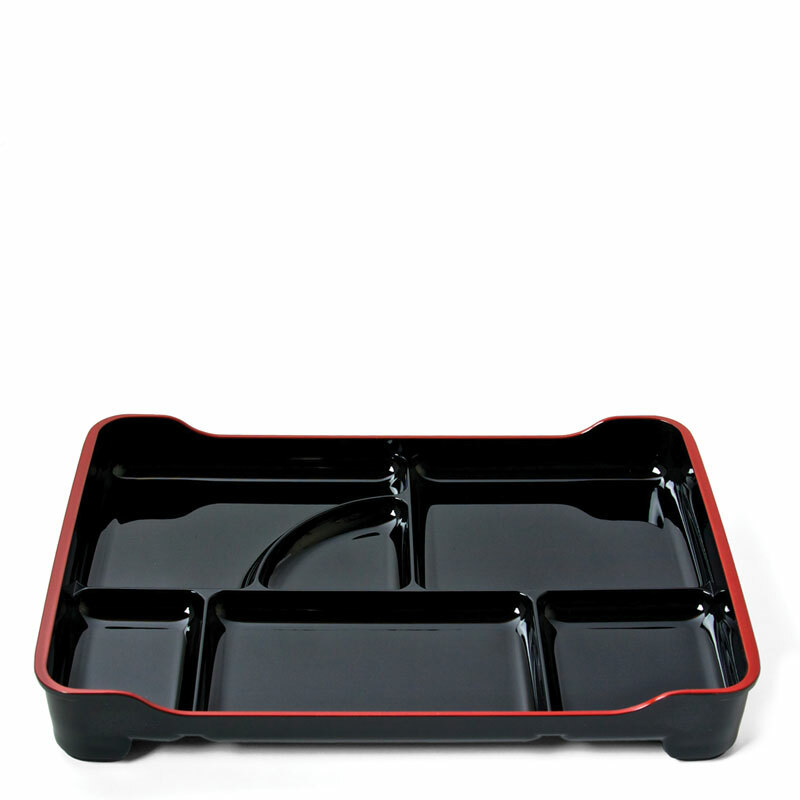 6 compartment lacquer bento tray. Black with red trim. 14" x 9.5" Made in Japan.